Plus91 is a Healthcare Technology firm developing Innovative High Quality Solutions for the Indian Healthcare Industry. These vary in complexity from Simple Practice Management Suites to complicated Telemedicine Enabled EMR's. Plus91 is defining what the next generation of Healthcare needs to be. Maximized across locations, people, solutions and verticals; we cater to a growing mass of people in an integrated and ever changing environment. The internet has become the most important source of information in the world. A recent survey in India found that seventy two percent of Indians online search for healthcare related information. With an increasingly large number of people going online before making any healthcare related decision, it has become more important than ever for hospitals and doctors to have their websites. 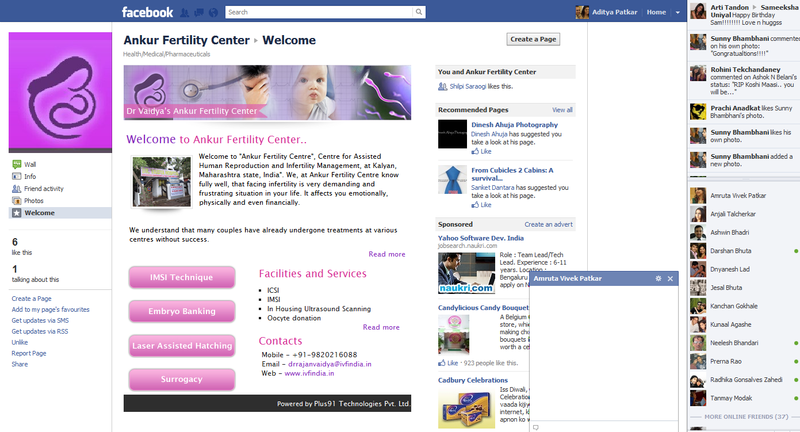 All the larger and teaching hospitals have realized the importance of having a website. The web company, Webometrics has ranked all teaching hospitals of the world according to their web presence, taking into consideration their search engine visibility, available digital content and published studies in online databases. Here’s a list of the top 12 Indian teaching hospitals according to their web metrics in 2011. A number of comparatively smaller healthcare centers in India have also recognized the importance of having a high quality medical website ( eg: Skin Hair Clinic ,Cura Physiotherapy Clinic and Divinations Healthcare). So what are the five main reasons for building a website for hospitals? Websites allow you to describe complex services available at your medical center in great details. This allows healthcare professionals to educate healthcare consumers about all the services available even before they visit the facility. Healthcare services are people facing business and all people facing business need to build themselves into a Brand. Websites and blogs are wonderful tools for Brand building among people and news reporters looking for related information online. 3) Improve search optimization ranking. Just having a website does not guarantee you a high visibility. Websites which contain posts focused on keywords and extensive link building help improve search engine rankings and therefore greater probability of being found online. Websites help hospitals/ doctors inform consumers about latest health research and guide them into healthy lifestyles. Thus medical websites can act as a great resource for people looking for information on preventive healthcare practices. In turn, consumers in need are more likely to turn to curative services which provide them information for their preventive healthcare needs. 5) Build a healthcare community. Maybe the most important thing a website can do for any healthcare institution is to build an online community. Patients love to be able to connect with doctors and also other patients in similar circumstances as them. Having a website allows a healthcare provider to fill this huge gap of doctor-patient and patient-patient interaction. A useful medical website is more than just an effort at ego boosting. A truly high quality medical website needs a good blend of technological and medical expertise. To get yourself a truly useful internet presence (as opposed to just a run-of-the-mill website), contact websites@plus91.in today. A large part of managing a patient over a long period of time is communicating with the patient. All old (follow up) cases in medical practices have niche requirements and expectations from their doctors. A satisfied patient is a doctor’s most powerful marketing asset. Healthcare professionals should strive to provide all old (follow up) cases with special features to improve quality of service, which in turn will increase the Patient Satisfaction Index. A well 'endowed' medical website allows doctors to assist patients in their day-to-day living by providing timely solutions for all their health queries even after a visit. For a patient, this continued access to expert medical advice via simple online tools is one of the most cherished features of any e-practice. Despite best efforts, many patients make errors while following medical advice. Many times, follow-up patients have new queries they wish they could simply share with their doctors. A large number of patients also do not ask new questions just because they don’t want to look stupid in front of their doctors! These patients are often unsure of the importance of their queries and generally procrastinate visiting their doctors for answers. Sometimes new complaints crop up which may or may not affect the ongoing medical management. The internet, via a medical website, allows doctors to clarify many such small doubts these patients face while following medical advice. A timely word of advice can save these patients a whole lot of pain, literally and figuratively. Important issues which may arise during such advice can be solved by arranging for a new visit. 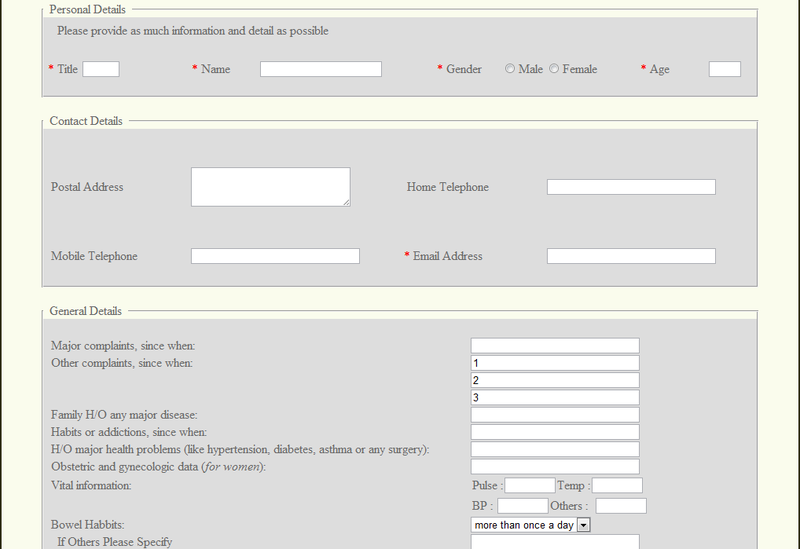 Medical websites allow all registered members (i.e. follow-up cases) to access some parts of the website which are meant only for them. A simple form is embedded within this secure area through which a follow-up patient can ask a question. These questions are then directed to the doctor’s email address. The doctor can answer such questions securely via email or even ask the patient to book an appointment if required. Ideally, doctors should create an email id purely for answering queries of follow up cases. This will help in segmenting all electronic medical communications between doctors and patients. All such queries are also automatically added to electronic medical record of that patient. Chatting on the internet is something most patients are comfortable with. Medical websites can have widgets which allow patients to directly chat with the doctor or the doctor’s representative. This is a common and simple to add functionality within any medical website. Patients can be given pre-decided timings (say, 9 p.m - 10 p.m on Mondays, Wednesdays and Fridays) when the doctor shall be available for the chat. Such chat transcripts can then be appended to the electronic medical record of the concerned patient. More people can be added to chats so as to allow group discussions (e.g: Friday evening hour long chat session for all Pregnant women, in case of gynae practices). After email, Facebook is the most commonly used online platform for communications. Doctors can easily use this platform (by forming closed groups) for answering some of the common queries by their patients. All follow up patients who share their primary email id can be added to specific closed groups on Facebook. These patients can post their queries on the group wall (which is not public and viewable only by group members) or send it as a direct message. Answers which have general significance for all patients can be posted on the group wall (e.g. : I am taking Metoprolol XL 50 mg once daily for my hypertension. I am scheduled for a tooth extraction next week. What precautions should I take? ). Personal queries can be answered via direct messaging. Urgent and important issues can be simply escalated to a telephonic conversation. Over time, such a Facebook group shall mature into a powerful resource for all new members. Questions which require visual inputs (like appearance of rashes or swelling on hands and feet) can be handled by using Video chat within Facebook. Important advice can be reinforced by typing it into the chat area so as to create a transcript document of the encounter. There are medical social media guidelines published by many international organizations which can be followed for all such patient-doctor communications on Facebook. How IT can facilitate Information Therapy? The end customer in the business of Medicine needs information. Everyday technology adds new ways in which we store and share this information for many to use, reuse, improve and share some more. In this day and age of the Internet, Mobile Phones and Social Media; Patients are empowered with the possibility of Real Time Communication, 24/7 Access to Information and Live Community Feedback. Today’s patients have been exposed to numerous possibilities besides the ones which our forefathers would know of. This exposure has empowered this generation of patients to ask for better care, better facilities, cheaper alternatives, and more useful ways of using technology to provide healthcare as well as healthcare information. However, in spite of large amounts of information available today, a big problem that exists today is that the information is not necessarily usable when it is most needed. For Technology to be successful at this there should be sustained focus on different avenues of Information Therapy. IT vendors must work at creating Healthcare and Medical Information Knowledge Bases. This can be about medicines, diagnostics, decision trees, side effects, precautions, etc. Technology should evolve to allow for more effective ways for Updating Information in such Knowledge Bases. These could be based on curation, criticism, collaboration to ensure that it is self adjusting, effective and patient-centered. Advancements in Social Technology will provide new ways for spreading this information. The logical first step to creating rich Databanks of Provider Information is to create identities for Providers in the electronic world. The simplest way to do this is to Create Websites for Doctors, Clinics and Hospitals. This may not necessarily be individual websites for practices which don’t want to invest in one, but even simpler informative single web pages to fulfill the purpose of creating an identity for them. Such websites can be optimized to convey Services, Location and Contact Information, Medical Notes, Special Cases treated. Such optimization will help in disseminating useful provider information to people looking for the same. This isn’t advertising, it’s a service: people today face many choices and are hampered by lack of information, improving their ability to find information quickly is beneficial to them. -- On your website, don’t only talk about you, tell the patients more about what diseases and disabilities you treat, what are the latest treatments, generic advice and maybe even help them going to right person if you weren’t involved. As was the case with Medical Information Sources, Advancements in Social Technology will provide new ways for sharing Provider Information. Technology Vendors must provide easier ways for Provider information to be located and searched and which is available of different types of media. Technology must look to create multiple ways to facilitate both formal and informal Patient- Provider Communication. The telephone made a huge impact on the way we communicate, and so did email. Newer technologies must be used to offer ease of use, larger acceptance and lower costs. Many providers today communicate with their patients using skype, google chat and even facebook. Technologies must build on such success stories. -- Emailing of schedules and reports to patients is a must. -- Go the extra distance and use Social Media to provide alerts and reminders to patients via Facebook Messages, Twitter DM's, etc. 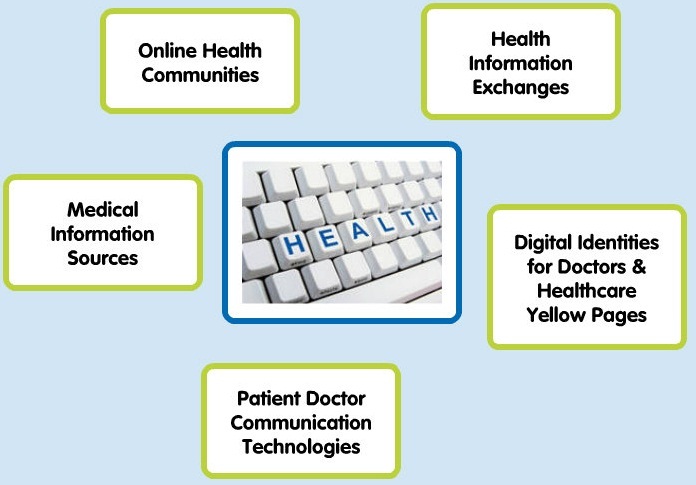 Technology Vendors must work together to create Health Information Exchanges(HIE’s) based on interlinking of Electronic Medical Records, Electronic Health Records, Laboratory Data and Patient Health Records across Providers and Patients. They help by providing Patients with the option to switch providers easily, allowing doctors to easily refer patients to other doctors for multiple opinions, providing direct access to laboratory data for physicians along with a number of potential benefits which are expected in the future due to the creation of a huge data bank of Medical Data including Symptoms, Diagnostics and Prescriptions. HIE’s must be designed with Programming Interfaces and sufficient freedom to allow Technology Enthusiasts and Innovators to be able to create novel ways of using and sharing the vast volume of data within HIE’s as long as patient and provider confidentiality is not compromised. For years, patients have liked to work in groups, to support each other, to help themselves cope with illnesses which their near and dear ones don’t understand, to seek advice from others who have similar ailments. Bringing people together in collaborative dialogue to explore social conditions that are the major influences of health and illness generates deeper collective awareness and community-driven action. Since Individuals don’t see their lives partitioned into an online and offline world, Online communities should be given as much value as offline ones. A variety of Online Communities must come up for connecting patients quickly and privately with others who share similar health experiences. Technology today exists not only in the form of created online communities but also online community frameworks which allow just about anyone with an idea of a community to set up an online one, full with video and audio chats, whiteboarding, discussion forums and groups and all the other good stuff. This allows the creation for integrated digital ecosystem which simultaneously addresses both individual and social dimensions of health. - A patient in a remote village in South India suffering from acute pain in the abdomen has to make do with the local village doctor’s prescription. A year later, a telemedicine pilot allows this same patient to get a second opinion using a remote video link and also by sharing X-rays of the abdomen using this equipment. He also is able to identify what’s happening to him via the printouts he gets from the telemedicine center and realizes that he must work at improving his diet. This is the 6th and final Article in a series of Articles on Using IT to facilitate Information Therapy by Nrip Nihalani and Aditya Patkar . 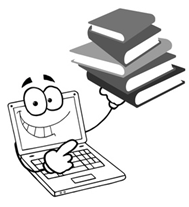 These articles form the basis of the chapter "IT for IT" by the authors which they contributed to the book "Using Information Therapy to Put Patients First"
For years, patients have liked to work in groups, to support each other, to help themselves cope with illnesses which their near and dear ones don’t understand, to seek advice from others who have similar ailments. Bringing people together in collaborative dialogue to explore social conditions that are the major influences of health and illness generates deeper collective awareness and community-driven action. Technology today exists not only in the form of created online communities but also online community frameworks; These allow just about anyone with an idea for a group or community to set up an online network, full with video and audio chats, whiteboarding, discussion forums and groups and all the other good stuff. This is the 5th Article in a series of Articles on Using IT to facilitate Information Therapy by Nrip Nihalani and Aditya Patkar . True engagement comes about through two-way, mutually beneficial conversations. Technology must look to create multiple ways to facilitate both formal and informal Patient- Doctor Communication. The telephone made a huge impact on the way we communicate, and so did email. Newer technologies must be used to offer ease of use, increase reach and lower costs. Many providers today communicate with their patients using skype, google chat and even facebook. Technologies must build on such success stories. This is the 4th Article in a series of Articles on Using IT to facilitate Information Therapy by Nrip Nihalani and Aditya Patkar . Practicing medicine in the private sector is a very tough proposition. It’s not enough to be a very good doctor. You should be known to be a very good doctor. It’s not enough to provide all the latest treatment options and services. Everyone should know (or be able to find out easily) all the services provided at your clinic/ hospital. Traditionally, physicians and medical practices have relied on word-of-mouth publicity to establish themselves. A patient who has undergone an event-free angiography at the local cardiac care center would then tell five others about his/her wonderful experience. So now five more people know about the latest angiography services at that cardiac center. Hopefully, this positive review continues in a geometric progression as more and more people visit the medical center. But is that enough? What about the high tech cardiac catheterization and latest stenting services also available at that center? There would be hundreds of bits of positive details about your hospital most patients don’t even get to know of. Hoping that all visitors to a medical center realize all its plus points and then remember to pass these plus points to others is so optimistic, it’s foolish. Thus word-of-mouth publicity serves a very limited role in evangelizing any healthcare services. Medical practices can no longer rely only on word-of-mouth to inform the world about their existence. But they also face a big handicap. They need to make themselves and their quality services known without resorting to overt advertising. Clinics and smaller hospitals face a specially forbidding challenge in breaking through this glass ceiling of ‘perceived quality’. Sheer size has allowed larger hospitals to carry an aura of quality, irrespective of the services they provide. In contrast, many clinics which provide top-of-the-line services are just not accorded due respect or simply remain unknown. Despite providing the best services, many small practices are labeled ‘poor quality’ simply because of low visibility. Technology has broken down this artificial divide between small and larger medical practices. A high quality website has become the single most important way to establish your credibility, authority and niche online. Websites and social media channels provide an easy to access free platform for showcasing your expertise to any targeted/ segmented population. 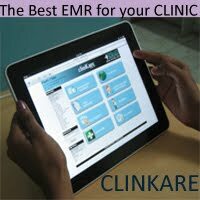 A website becomes the way people remember and recall your clinic. A website creates a visual brand for your medical practice, allowing strong recall value even among people who may never have visited your clinic. With the help of a high quality medical website, a niche specialty clinic can achieve the same recognition as many large super-specialty hospitals. 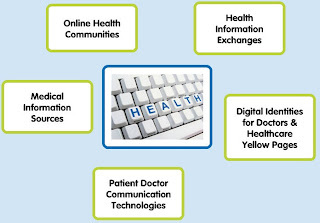 To effectively facilitate Information Therapy, Information Technology must bring about a marriage of ideas with utility; IT has to ensure all actors in the medical ecosystem come together to improve information management for the benefit of the patient, the staff and decision-makers throughout the healthcare sector. IT vendors must work at creating Healthcare and Medical Information Knowledge Bases. These can be about medicines, diagnostics, decision trees, side effects, precautions, treatment data and more. In this day and age of the Internet, Mobile Phones and Social Media; Patients are empowered with the possibility of Real Time Communication, 24/7 Access to Information and Live Community Feedback. Today’s patients have been exposed to numerous possibilities besides the ones which our forefathers would know of. This exposure has empowered this generation of patients to ask for better care, better facilities, cheaper alternatives, and more useful ways of using technology to provide healthcare as well as healthcare information. However, in spite of large amounts of information available today, a big problem that exists today is that the information is not necessarily usable when it is most needed. All medical practices have some USP that distinguishes them. You should have yours defined before you create an online presence. You are the best judge of your own competition. That’s where your patients go to when they don’t come to you. The same goes for the patients looking for Doctors online. Your affiliations online decide your digital brand. Choose some idols of online medical presence and follow their best practices. Always link to and comment on good quality content. Your aversions decide you as much as your affiliations. Have a clear brand strategy for your professional appearance online. Have a clear navigation plan for your visitors and decide where you want them to finally land up on your website. Know what you want to do and why you are doing it. PowerPoint slides, videos, text articles or posts online are good resources for high quality medical websites. A regularly updated website will always do better for your brand than an outdated one. Facebook, Twitter, Linkedin and community platforms are the crux of an online presence. You need skilled people managing these channels for you 24/7/365. That’s a long term question ideally decided when you start a website. 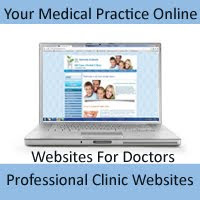 Websites For Doctors allows you to create high quality websites by a simple template based process. You can check some examples here. Digital technology has done a lot to change healthcare over the past 20 years. And Google is the biggest influence on the web over the past 14 years of the internet. Their “Do No Evil” ‘philosophy’ has given us a whole stable of free and easy to use tools which can make all work easier and better. *neuromumbai911@gmail.com*. By going to settings, you can then set to import your other email account into any one primary gmail account. You can reply by your choice of account, enabling you to keep your personal and professional emails separated by different accounts, yet accessible and answerable from one single account. Here’s a detailed screenshot enhanced post about this feature on MakeTech easier. Read this Gmail tutorial for lots more info on these features. Websites for Doctors by Plus91 lets you leverage on Google’s email offering creating social media profiles for you and letting you use your own personalized email ids. Maps and *Places* allow you to mark your professional locations and timings on a map. Link this marked map within all your emails. Henceforth *all patients you email will see how to reach you easily via a map*, with additional info about consultation hours that you might want to share. Plus91 has numerous initiatives to help promote your website using information tools like slideshare and Collaborative Online Journals like Indian Health Journal which will get you listed sooner than later. Online videos are the most important medical info resource. But you don’t need to create videos to run a medical educational channel for your patients. Just create a channel by free login and start marking as *favourite the best medical education videos* you think might help your patients. Set channel settings to demonstrate your video favourites. You can also create multiple playlists on multiple topics and share them separately. Thus, you have a full blown video channel. Zero cost! Now create your own You Tube channel with us at Websites for Doctors and upload videos of surgeries, patient testimonials and also a tour of your clinic. We are planning another post on 5 Advanced and Free Google tools For Medical Practitioners. If you want to read that soon, *Share this*. If you need help with any of the above tools, comment below. Plus91 Technologies Private Limited is the leader in innovative medical software solutions. Over the years Plus91 has been serving a broad range of customers within the Medical Ecosystem, ranging from Individual Physicians, Multi-speciality clinics, Diagnostic Labs, Imaging Centers, Hospitals, Pharmaceutical firms, Insurance Providers, Research Labs as well as Patients. 2006-2011 All Rights Reserved. Plus91 Technology Pvt. Ltd. . Awesome Inc. theme. Powered by Blogger.